Custom-designed mini-pedal format, all sockets on top end panel! White noise hiss is a feature often ignored in ‘synth’ pedals, but it can add a great texture to the tone. Here it’s blendable; have none at all, just a clear zing – or crank it up towards electro percussion…. There’s also volume and drive controls, a ‘hi/lo’ resonance button, and an ‘incoming’ signal indicator. It’s powered by standard 9v PSU (centre earth) – not included. 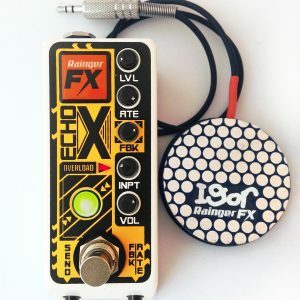 This is actually the most flexible pedal from Rainger FX, covering guitar sounds that range from chunky and straightforward, or with a more electro edge, through to noise-based percussion guitar. Can the overdrive be switched off to have just filter? 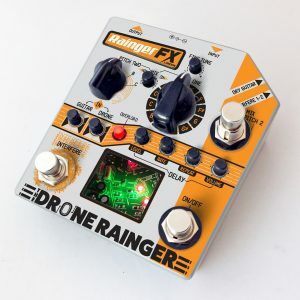 Does this come with an Igor controller pad? No, this pedal doesn’t use that facility. Can the level of the white noise hiss be adjusted? Yes – with the mix control, can have only white noise, or turn it down to just guitar. Can you have filter on the white noise only? 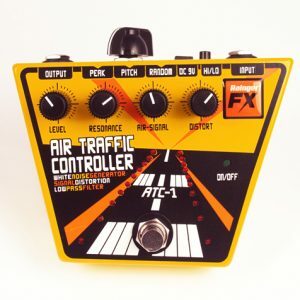 Can the pedal get a clean guitar sound? 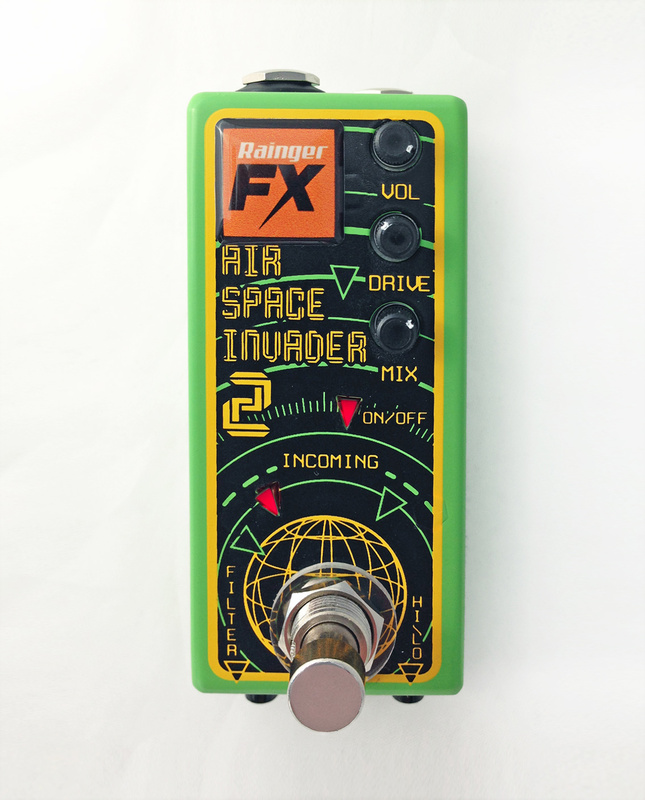 How does this pedal differ from the original Air Space Invader mini-pedal? This one has no ‘attack’ switch, and no Igor facility, but the filter is switchable.